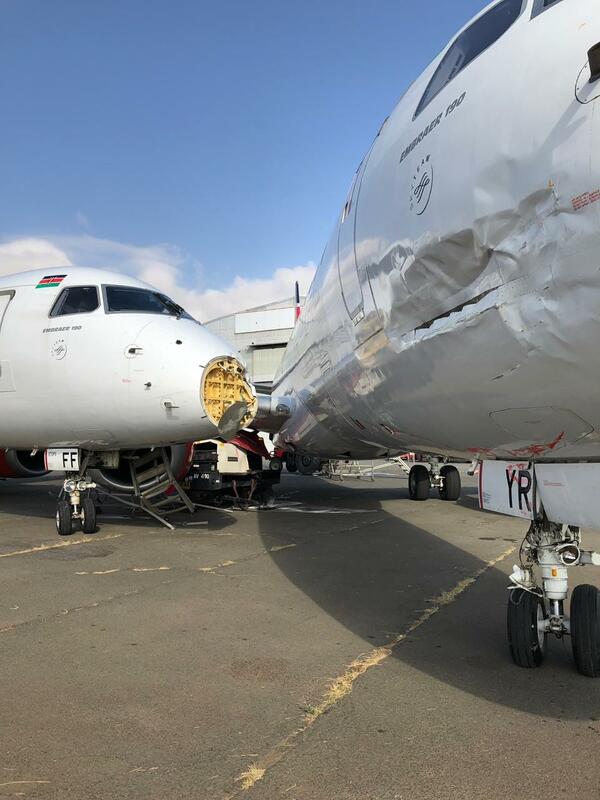 Two Kenya Airways (KQ) planes 5Y-KYR and 5Y-FFF collided and severely damaged each other just in front of the airline’s hangar at Jomo Kenyatta International Airport (JKIA). The two planes were up for what is called C4 Check which is a major maintenance of the engine after a period of time. 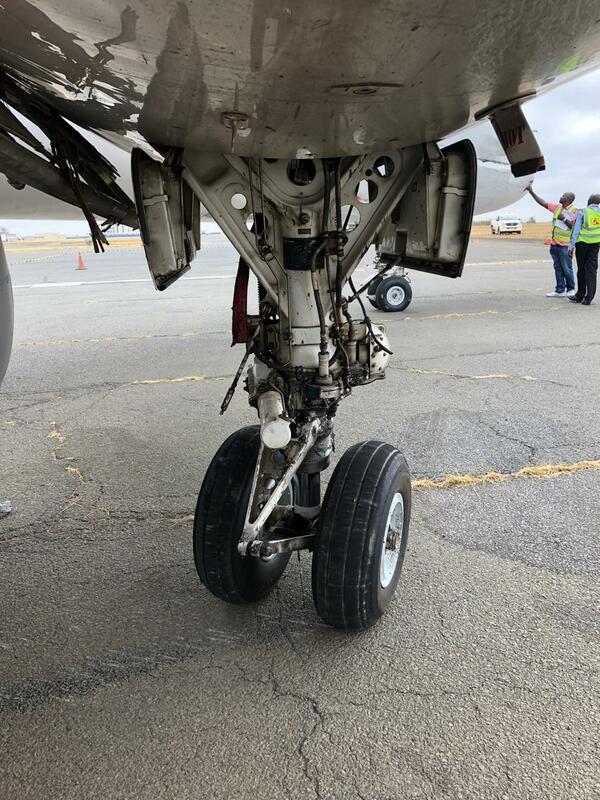 After the maintenance, the planes have to undergo what is called Engine Run which is throttling the engine to the take off level while brakes and chokes are on. 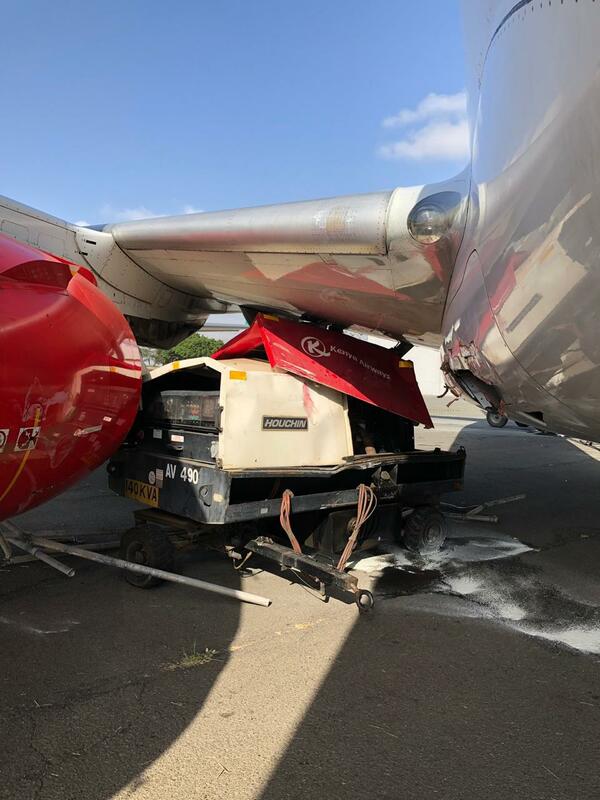 KQ has not invested in an engine run bay at the maintenance bay so the maintenance team always use an open space right in front of the hangar. The plane which was undergoing engine run then, 5Y-KYR, lost the brakes and rammed on to 5Y-FFF, greatly damaging it. We spoke to two maintenance technicians at Kenya Airways who confirmed the incident but refused to comment further. They however intimated to us that KQ has refused to invest in aircraft servicing. The airline’s management has refused to equip the hangar so incidences like these happen but to a minor extent. This is a major one. The technician who was inside the aircraft’c cabin during the incidence steered the plane to avoid hitting the hangar and thought of sacrificing the 5Y-FFF plane. The incident is expected to affect the routes plied by the aircraft. Next article Wavinya Ndeti Lands Government Appointment, After Losing Election Petition.